The 2015 Formula 1 World Championship is only 3 races old, and yet Nico Rosberg is already a non-contender. Yes, he has the fastest car, and yes, he’s a quality driver, but that’s not enough for him to compete with Lewis Hamilton for title glory. Why is Rosberg out of the running? Because he’s already psyched himself out of it. After just three races, during which he has never looked like beating Hamilton, Rosberg is already complaining publicly that Hamilton is playing dirty. After today’s Chinese Grand Prix, Rosberg stated in the post-race interviews that Hamilton had deliberately driven slowly in order to back Rosberg up into the clutches of third-placed Sebastian Vettel. Even if that’s true, it’s an extraordinary statement for Rosberg to make. It’s an admission that he is powerless to compete against Hamilton. He’s made it clear that Hamilton can, at will, dictate to him (Rosberg) on the track. Let’s be clear – if Hamilton were to drive slowly with Rosberg close behind, that would be Rosberg’s cue to pass him or make a change to his pit strategy that would give him a clear track and allow him to make full use of the pace of his car. The only logical explanation for Rosberg’s post-race outburst is this: He knows he just isn’t quick enough to beat Hamilton, and so he’s resorting to badly-conceived attempts to draw Hamilton into a war of words that might distract him from his driving. Hamilton is a double World Champion, and has plenty of experience dealing with pressure at the front. Rosberg’s tactic is therefore extremely unlikely to work. Hamilton should take confidence from Rosberg’s behaviour. 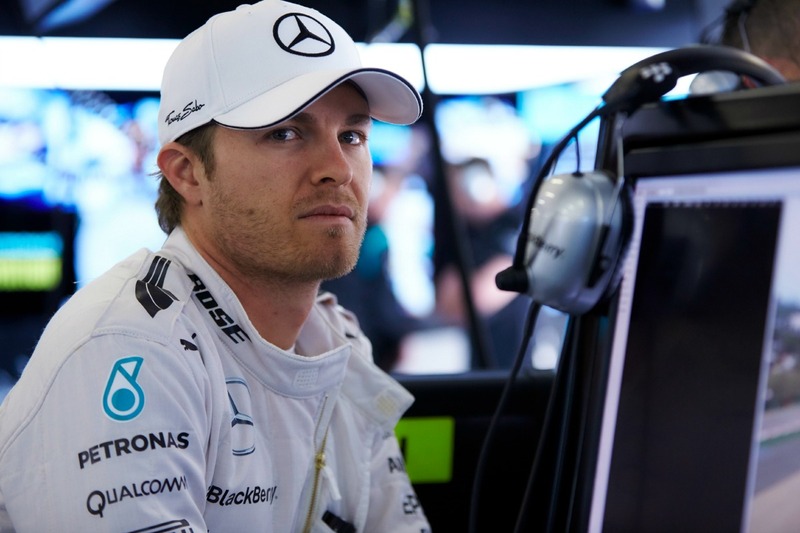 Rosberg has acknowledged Hamilton’s status as number one at Mercedes. Now Hamilton only really has to worry about Sebastian Vettel, currently sitting second in the championship and no stranger to the pressures of a title fight. And Vettel’s Ferrari, while very quick, is no real match for Hamilton’s Mercedes. Rosberg has effectively handed Hamilton the 2015 World Championship.